We are very sucessful at securing the right tenant for our landlord’s properties and have extensive knowledge of residential propery management including expertise in Houses of Multiple Occupation (HMO’S). Our team at Fraser Lake treat the management of your property as they would their own. Owning or renting a property should be hassle free, and that is our aim. We take away from you all of the hard work, frustrations and worry. Taking training very seriously, as well as years of experience we under go formal courses to ensure that we are fully up to date. Whilst we are based in Gateshead, we manage properties across the North East, and get a wide range of enquiries due to recommendation and our marketing strategy. We will be as flexible as possible, call and meet you at your property or elsewhere if you prefer, and give you advice on the best way to achieve your aims for your property. We have been managing private residential properties since 1989 and have a substantial and diverse portfolio. Our comprehensive property management service gives the landlord peace of mind in knowing that their rights are being protected and obligations exercised in the most efficient and pro-active way. We have experience in dealing with most of the North East local authorities and were founder members of Gateshead Private Landlord’s Association and Derwentside Private Landlord Association. We are members of the Guild of Letting & Management, with access to their legal helpline for up to date advice, The Property Ombudsman and hold Client Money Protection. Our rates are highly competitive and are calculated and payable only on rent actually collected. My wife and I became landlords in 2007 and have had the benefit of have Fraser Lake as our Managing Agents. Their approach to tenant finding ensures that a quality tenant has always been found, and most importantly, rent paid on time. Fraser Lake provide us with the confidence that our properties are managed well and efficiently, and when the need arises, we are always kept informed. I would gladly recommend, and have recommended Fraser Lake to any other Landlord I know. An excellent team with an exceptional reputation. Fraser Lake have acted as our managing agents for some years now both finding us tenants and looking after our properties. During this time we have always found them to be friendly, helpful, efficient and ‘our eyes in the north’. 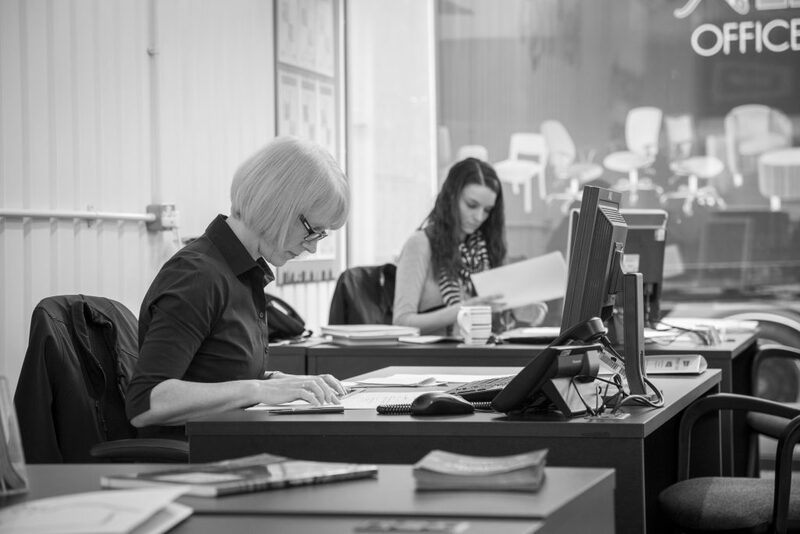 We are some distance away and therefore rely heavily on the team to advise us on tenants, the general condition of the properties and current rents. They have dealt with any difficulties that have arisen during the tenancies, advised us where necessary and kept us fully informed. We are therefore consequently very satisfied with the service Fraser Lake have provided us with to date. “Fraser Lake provide a professional and efficient service to landlords, but at the same time they are very approachable and friendly. This is particularly important for when dealing with difficult issues such as rent arrears etc. In the many years that I have been using their services I have always found them to deliver a very high standard and would not hesitate to recommend them to other landlords. I first went to Fraser Lake in 2003 after receiving shoddy service from local property management companies. As I live in Northern Ireland it was difficult for me to manage the properties myself. However Andrew, Sheila and the girls have been a great help to me over the years, helping me to build a decent property portfolio and always providing an excellent personal service. Fraser Lake have managed our portfolio of 25 properties for over 10 years. We have always found them reliable, professional and diligent. We would have no hesitation in recommending them to either professional or private landlords. As the Landlady of a property in Gateshead I have found Fraser Lake very professional and always speedy and efficient at finding a suitable tenant for me. Their friendly and approachable manner has meant I have gone back to them each time I have needed a new Tenant and I wouldn’t hesitate to recommend them. I am a rental property landlord and have been supported by the Fraser Lake management team for the past 8 years. I have much appreciated the promptness of their responses to my many and varied queries and their efficiency in contracting for and supervising any repair work which I have agreed to be necessary. Over the years the team has gained extended experience of a range of building and repair firms that they know are able to undertake work promptly and to a high standard for modest fees. Fraser Lake charge a reasonable fee for the work they undertake, and I would recommend them to any present or aspiring rental property owner. We have lived abroad for six years now and throughout that time Fraser Lake have let a property for us in Gateshead. We also let other property in the UK. There is no question in our mind that Fraser Lake offer the best service with good communications and have successfully re-let the property rapidly avoiding any long void periods whilst maintaining the quality of tenant. We have entrusted the management of the letting of my mother-in-law’s house to Sheila and the team at Fraser Lake for several years now. I would highly recommend their service as we have always found the team to be efficient, attentive, caring and conscientious in looking after the property (and us). We recently lost our tenant, due to circumstances beyond anyone’s control and Fraser Lake managed to get the house cleaned, minor repairs and decoration done and a new tenant in within 2 weeks! Communication is impeccable and we are kept informed at all times. Sheila is always on hand with sensible advice when it’s needed. So nice to not have to worry about the little things.